A coalition of 45 state attorneys general have urged phone companies to put in place technology, to allow consumers block robocalls. The state attorneys general sent a letter to major carriers including AT&T Inc., Sprint Corp., Verizon Communications, T-Mobile US and CenturyLink Inc. Companies earlier hesitated to implement a fix over concerns that it might violate federal law, but the Federal Communications Commission last month made it clear there are “no legal barriers” to such a move. Unwanted calls are one of the largest sources of complaints to regulators. The FCC said it received more than 215,000 last year. 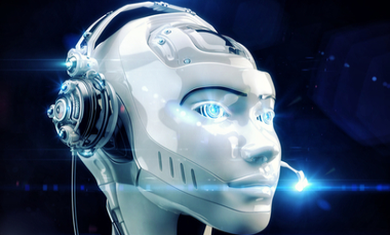 Under the federal Telephone Consumer Protection Act, robocalls for sales purposes are usually illegal unless a consumer consents to receiving them. That hasn’t stopped billions of such calls from being made using cheap auto-dialing technologies and caller ID-“spoofing,” which allows solicitors to hide behind fake phone numbers. Companies that engage in robocalling usually don’t bother to screen numbers against the national Do Not Call Registry and are often trying to snare consumers in scams, according to the Federal Trade Commission. Last year, 39 attorneys general called on the FCC to clarify whether phone carriers were permitted to use call-blocking technologies for robocalls. A bill in Congress would increase the fines on illegal telemarketers, such as so-called spoofers purporting to be from the Internal Revenue Service or a person’s bank or a merchandiser selling a product that doesn’t exist. Senator Claire McCaskill, a Missouri Democrat and the sponsor of that bill, said during a June 10 hearing that phone companies are best positioned to orchestrate blocking. Call-blocking solutions already exist for Internet-based phone service and Android mobile phones and should be implemented by carriers, the state attorneys general said. Some companies already offer services that can reduce unwanted calls, Banks said. CenturyLink provides tools including security screening products and privacy ID’s that can cut down on the calls, spokeswoman Linda Johnson said in a statement. Verizon spokesman Richard Young said the company also provides some services to reduce unwanted calls and “agrees on the need for more consumer education” about robocall-blocking.